But what makes the new hire extremely different is – Dave Morton has one valuable experience, taking the company private and then taking them public again. A hard to find talent. Dave Morton joined Seagate in 1995, held multiple roles overseeing Seagate’s corporate finance, treasury and accounting activities, before he was appointed as CFO in 2015. “Dave has been a meaningful contributor at Seagate for the last twenty years and has significant experience in supporting our business model and the financial governance of our operations. Most recently he has successfully managed the operational aspects of our finance organization, including leading our cash management and corporate finance activities. Dave’s background makes him well suited for Seagate’s evolving storage technology business and I look forward to his continued contributions and leadership.” – said Steve Luczo, Seagate’s chairman and chief executive officer after appointing Dave Morton as the CFO. The most important thing to note here is, Dave Morton was part of the finance team at Seagate when the company went private in 2000 and he was there when the company went public again in 2002. Dave Morton not only has financial expertise, but he definitely knows a thing or two about taking the public-private-public road. If Elon’s plan to take Tesla private goes through, it will be one of the biggest leveraged buyout in history (if the company takes the LBO route). There are investors with deep pockets who will be willing to part own the company, but at the end of the day they are investors – which means they will need to see some form of return on their investment. As Tesla keeps getting bigger and bigger, the value of their holding will keep getting bigger and bigger. There will be a point where the company will have to go public again for private investors to cash out their position. 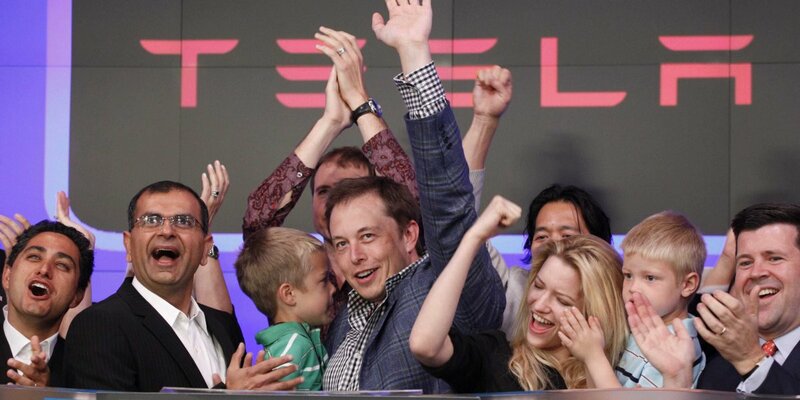 If Tesla keeps growing, as is their plan, it will be very difficult for them to stay private forever. They will have to get back to the public markets. And David H. Morton clearly fits the requirements.